With the savaging – sorry, reform – of benefits now imminent there is plenty to read this month. Plus some brighter news with a great evening out coming up in March – and don’t miss the SDN Quarterly Meeting in March! This entry was posted in Newsletter, Newsletters on January 31, 2013 by Clear. by Mr Robin Ash, Empowerment and Campaigns Officer. 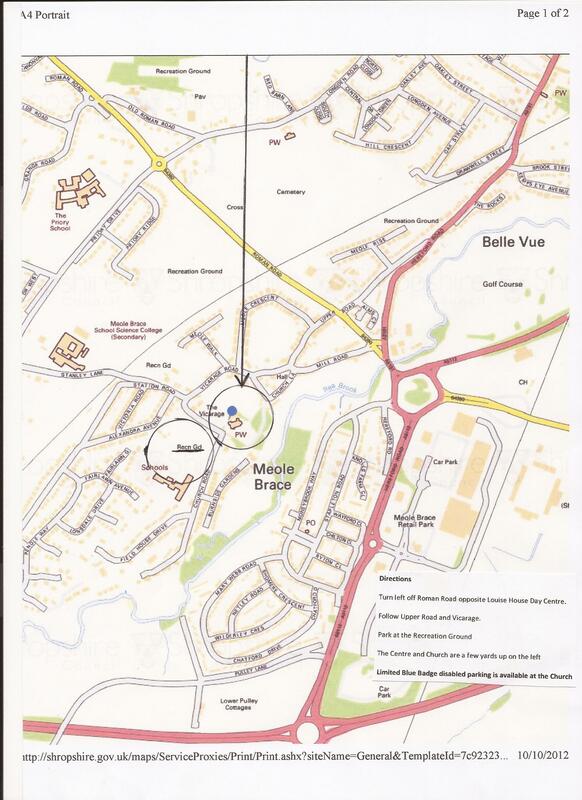 Wednesday, 19 June, 2013 at 2.00 pm at the White House Hotel, Telford. Ann Shaw from West Mercia Police will speak on the important subject of Disability and Harassment. Sue Hall, who teaches sign language at Telford College of Arts and Technology, will give a presentation. Sue does not speak, but teaches by a combination of signing, gestures and notes, finding ways for all to take part. It should make for an interesting session. We will also have our AGM. This entry was posted in Events on January 31, 2013 by Clear. Event description: Join us for an amazing ladies night out! This year’s event is pyjama themed and kicks off with a Bollywood warm up before you start the 10km walk. 10.30 pm. Â£10 registration fee until 1st March 2013 then Â£15 after this date. This entry was posted in Events on January 30, 2013 by Clear. Event description: The exhibition is being planned and organised by The See and Hear Shropshire Partnership which includes Shropshire Council, Shropshire Voluntary Association for the Blind, the Rural Community Council, Vision Technology and Training and the Guide Dogs Association. It is FREE to attend and there will be a free Shuttle Bus every half an hour from Shrewsbury Train Station to The Sports Village starting at 9.30am There will be presentations and workshops throughout the day. BSL and Deafblind Interpreters available. HomeHealth and social careDisability informationSensory Impairment See and Hear Exhibition 2013 We are pleased to invite both visitors and exhibitors to attend this high profile exhibition of equipment and services for people with sight or hearing loss. Following the successes of the last 5 years, this event will take place again at Shrewsbury Sports Village, Sundorne Road, Shrewsbury SY1 4RQ on Wednesday 15 May 2013 between 10am and 4pm. Watch this space for the new programme and list of exhibitors!. The exhibition is being planned and organised by The See and Hear Shropshire Partnership which includes Shropshire Council, Shropshire Voluntary Association for the Blind, the Rural Community Council, Vision Technology and Training and the Guide Dogs Association. The exhibition will showcase many products and services. There will be presentations and workshops throughout the day. BSL and Deafblind Interpreters available. List of Stands so far are : Optelec, Dolphin Computer Access, Ultracane, Humanware, Jarik Optima. Sight and Sound, VISS Interpreting Service, Sensory Resource and Development Services, Sensory Impairment Team, VTTS, Shrewsbury Guide Dogs, Shropshire Disability Network, Bionic Ear, Shropshire Deaf and Hard of Hearing Forum, ILP Outside Stands are: See and Hear Mobile, Guide Dogs Obstacle Course, Action for Blind Bus There will be demonstrations by exhibitors as well as excellent cafÃ© and lunch facilities. This exhibition is of interest to everyone, as we all have friends or family who may have sight or hearing loss. Event description: This is a captioned screening of Song for Marion for the deaf and hearing impaired. Grumpy pensioner Arthur canâ€™t understand why his wife Marion would want to embarrass herself singing silly songs with her local community choir. But when he is coaxed into joining, the reluctant Arthur finally dares to unlock his emotions and also begins to reach out to his estranged son in this emotive British comedy. Tickets at the moment can not be booked on-line but it is hoped in the near future to do this. Contact number: 01743 281 281. Event description: Healthcare Professionals across Shropshire are set to walk nearly 10 miles as part of National Dignity Day.This walk, from Haughmond to the Wrekin aims to raise the profile of dignity as a key issue. Taking part will be members of Shropshire and Telford and Wrekin Dignity Network. This network includes people who work in and around the health and care sectors. It was set up in response to the Department of Health’s Dignity Challenge with the aim of promoting dignity as the underpinning principle in the care of vulnerable people. This entry was posted in Events on January 28, 2013 by Clear. Event description: The topic of this meeting is mental health & dementia. There will be a range of interesting speakers from South Staffordshire and Shropshire NHS Foundation Trust, Shropshire County Primary Care Trust and Shropshire Council. The meeting will hold a panel question and answer session where you will have opportunity to raise your questions and queries about mental health issues affecting older people with speakers, followed by round table discussions about how you would like the Assembly to take important issues forward. If you would like more information please give us a call. This entry was posted in Events on January 26, 2013 by Clear. If you would like to know what is on, how you can help or take part by pledging your time please look on the Dignity in Care websites. Click here >> to download the flyer. Venue: Where-ever you are on the day! Event description: As part of Brain Injury Week you are cordially invited to wear your silliest hat to work, the rehabilitation and re-enablement centre, or just at home because you want to support a fantastic cause! This is how it works….. Wear a hat (even better if you made it), make a donation to Headway Shropshire, have fun and help people with Acquired Brain Injury! Hats for Headwat is an annual fundraiser as pert of Action for Brain Injury Week……we hope to see you there all hatted up! This entry was posted in Events on January 23, 2013 by Clear.